I'm hitting the 19 second wall myself. But the first 12 easy seconds don't really count, so I feel like I'm only playing for about 7 seconds. 18 seconds on the first try, while holding a squirming baby. But I play a lot of mouse games on newgrounds.com. The trick is to hold your wrist still against the mousepad and only move the mouse with your fingertips (which is how I always use it) but you have to turn your mouse sensitivity up. peripheral boss-vision is distracting some percentage of my concentration. Yay! I'm up to 24.6, but there's relatively little skill involved. Just patience. I'm just memorizing where to move and when. Sometimes I screw up and hit something, but mostly you're just learning dance steps. Some of us haven't made it there yet. Although I've seen it. It takes a while to close and restart sometimes, and Ive seen the speed up at around 27 seconds. It's amazing how fast it goes. back up to 34.08 seconds within the first 10 tries since this thread got bumped. guess it comes right back to ya. thanks looky...it's slow here today. I use a track ball. 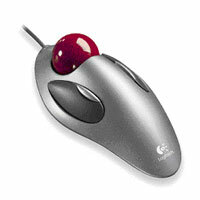 Ya I have a BALL MOUSE and its a pain to have to keep pressing the button while ya move it!!! My best is 8 something so far..